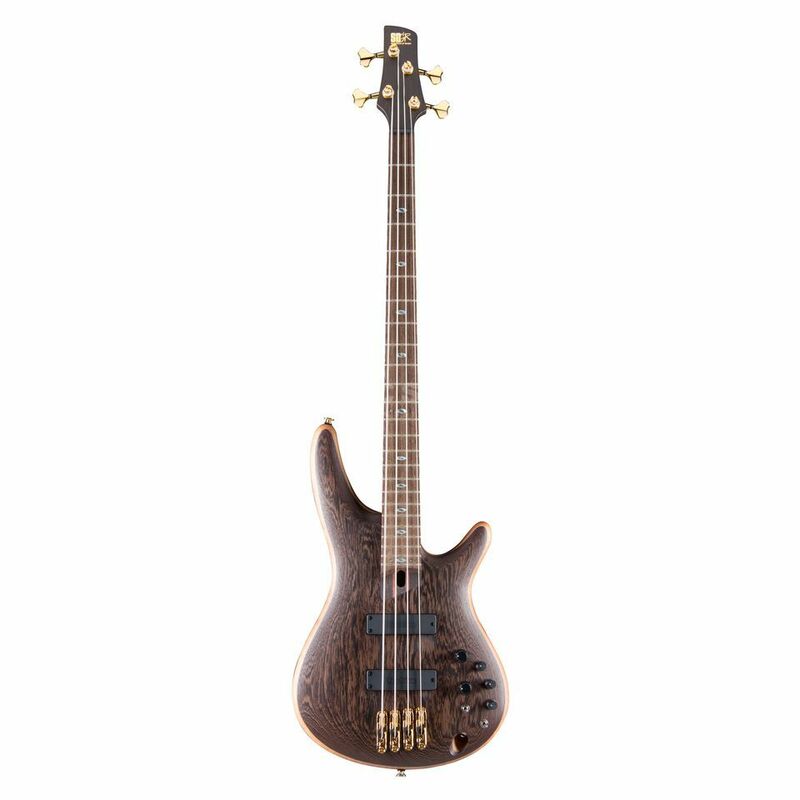 The Ibanez Prestige SR5000 OL Oil Finish is a four-string bass guitar built to excite through its smooth, fast neck and lightweight body, equipped with perfectly matched electronics. The SR5000 features an Atlas-4 five-piece Wenge/Bubinga neck with KTS TITANIUM rods that provides tonal clarity and a superior note attack, with a slim grip shape for superior playability. Prestige Fret Edge Treatment on the fingerboard offers a smoother play and comfortable neck grip thanks to specially rounded edges. Equipped with handmade USA Bartolini Custom pickups, this guitar offers a deeper tone from the neck pickup whilst retaining a bright tone for the bridge. The pickups are dual coil designs and allow the widest tonal sweep from the Blend control. The SR5000 also contains an Ibanez Custom Electronics 3-band EQ with an EQ bypass switch and mid frequency switch for precise tonal control. When the EQ bypasses activated, the treble tone control knob becomes the global tone control for the passive circuit. The Mono-rail V bridge is the ultimate for bass string isolation, independently and securely locked down to the body for maximum vibration transfer without interference. The Graph Tech BLACK TUSQ XL nut offers ultimately lower friction to keep you in tune and give clearer sound and sustain. Gotoh machine heads offer a superior tuning stability. Fantastic bass! I bought one from music store a few weeks ago and have barely begun to explore its' seemingly infinite range of tonal possibilities. It can cope with any style of music or playing I've tried with it so far, from jazz and fusion to rock and metal. Well worth every - not inconsiderable - penny. I'd have had to spend a great deal more to find a better or more versatile bass.